Check out the fabulous Grand America Hotel! 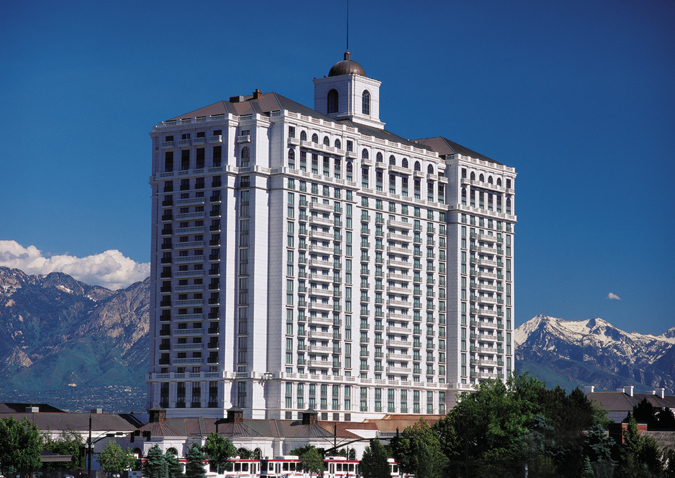 Among Salt Lake City hotels, The Grand America Hotel stands apart as a superior choice—and not just because it is the only AAA Five Diamond hotel in Salt Lake City. The Grand America Hotel, a landmark in the city, offers luxurious and spacious accommodations with step-out balconies and stunning views of the mountains, skyline, and sunset. Complimentary Wi-Fi is also available in all guest rooms. Each room is individually decorated with hand-crafted Richelieu furniture, English wool carpets, Carrera Italian marble, and the finest fabrics. Suites also feature elegant French doors separating the bedroom from the living area for additional privacy. Suites are available with kitchens. A block of guestrooms has been reserved at the Grand America Hotel. All participants in the Congress are required to make their own accommodation arrangements directly with the hotel. Please indicate “IATDMCT” when reserving your room. If there are any remaining unbooked rooms on June 30, 2013, they will be released for general sale and the special congress rate of $229 per night will not be available after that time.